Thierry Henry is now qualified to become a football manager after passing his UEFA A coaching badge Licence. The former Arsenal player was presented with the certificate on Thursday, he can now manage in the professional game at a level below the top-flight, or within a club academy. 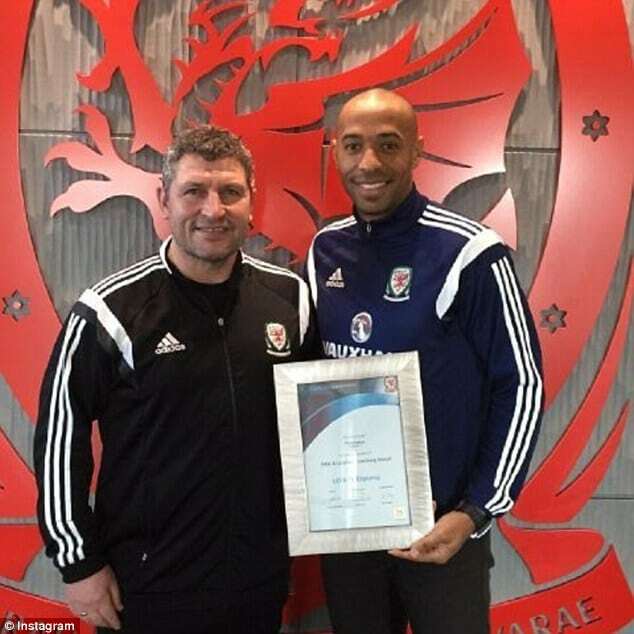 Thierry Henry took the coaching course under the auspices of the Football Association of Wales, as he did for the B Licence last year.